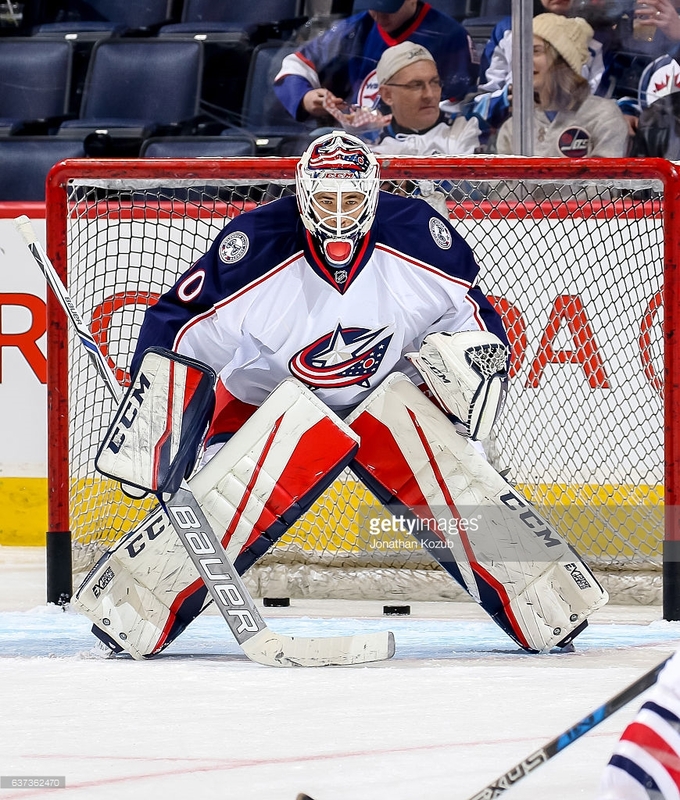 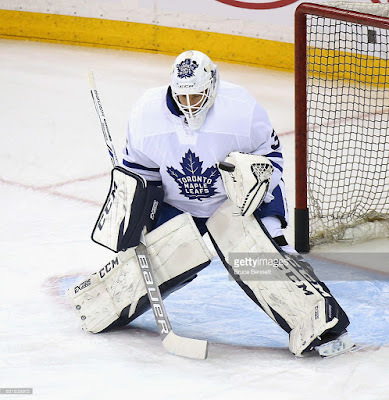 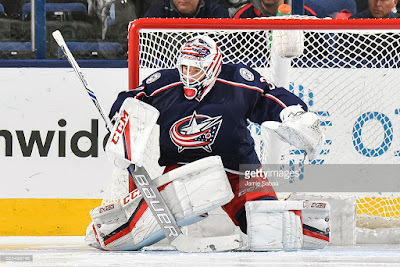 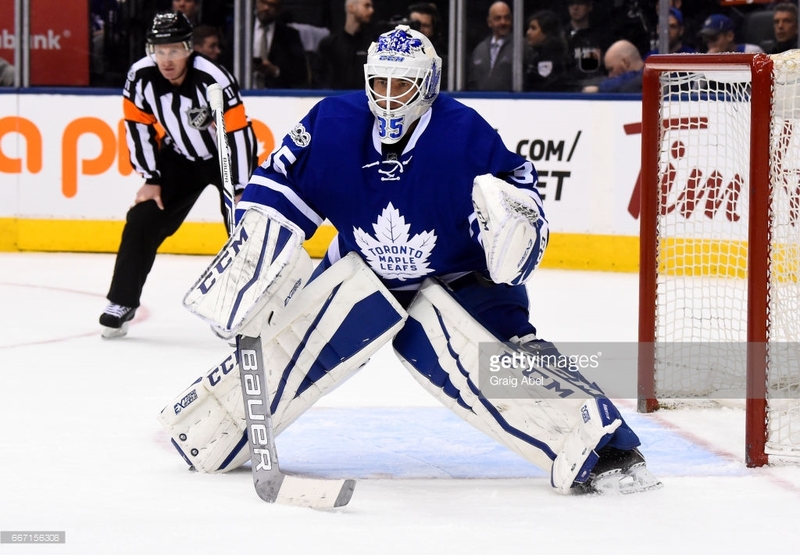 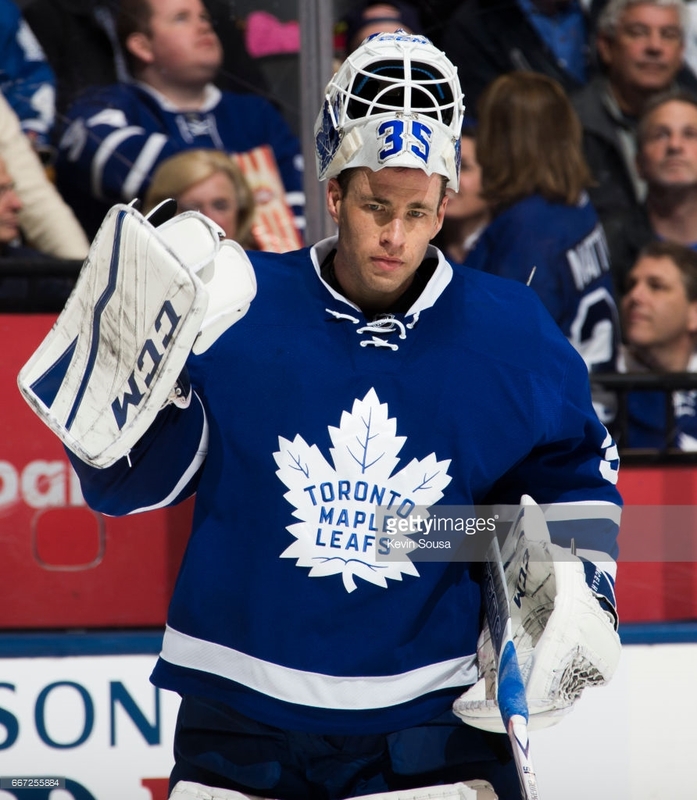 Columbus traded McElhinney to Toronto in January. 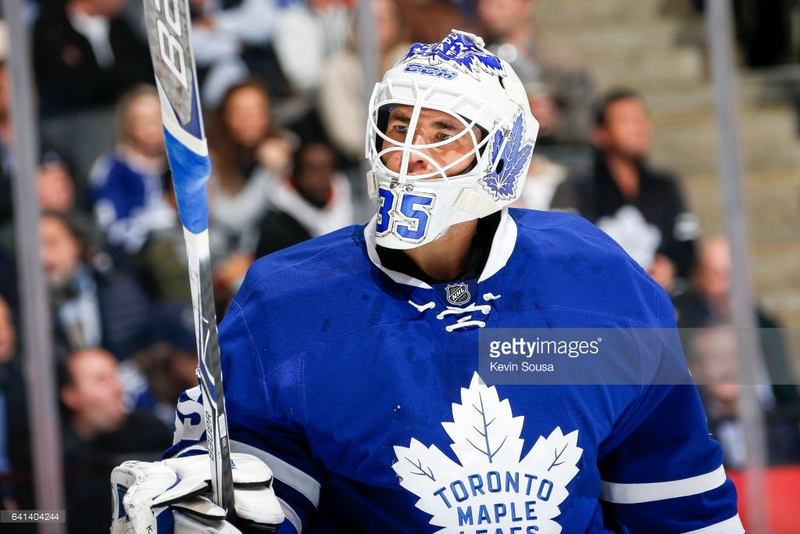 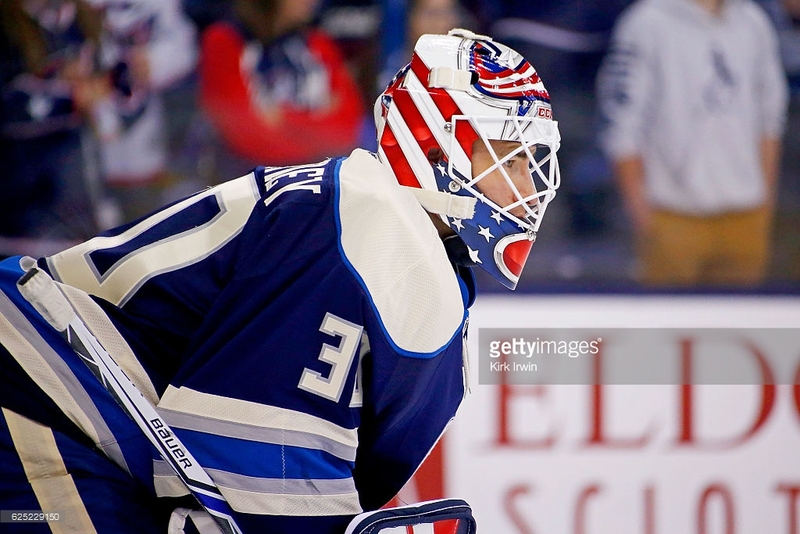 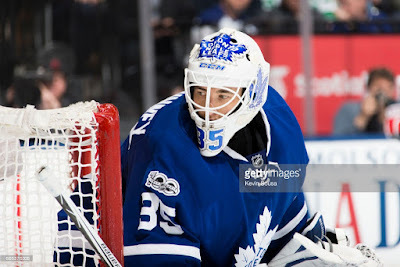 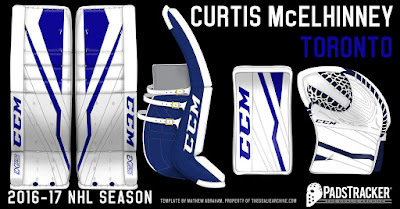 I didn't know who painted McElhinney's mask last season, and I don't know about this season's either. 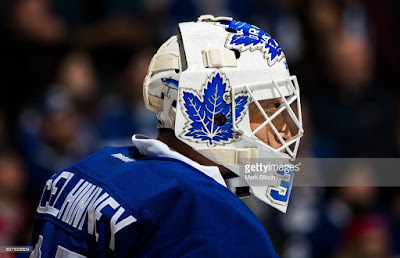 If anyone know, please leave me a comment. Thanks! 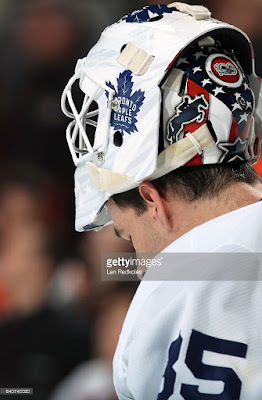 His Columbus mask covered up with tape and Toronto decals after the trade. I like to refer to those as mummy masks. 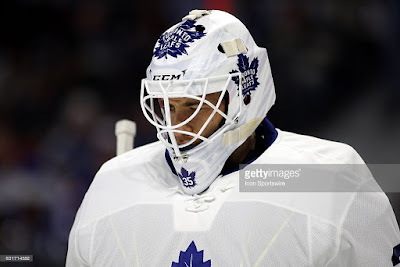 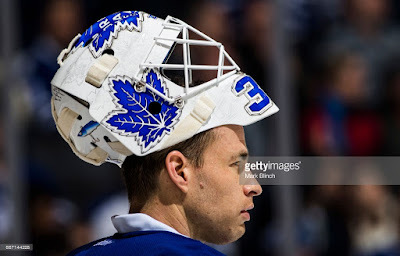 And his new Toronto mask. 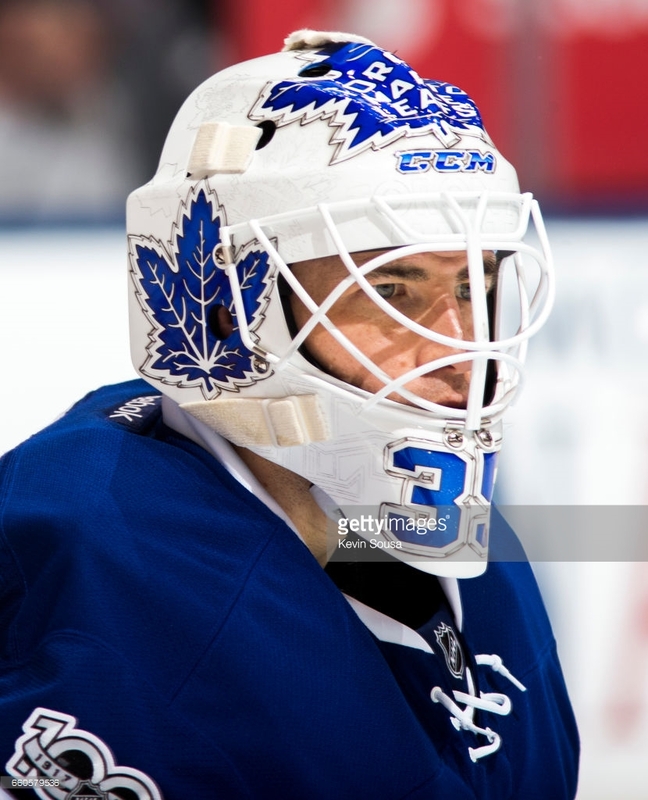 His current mask is terrible! 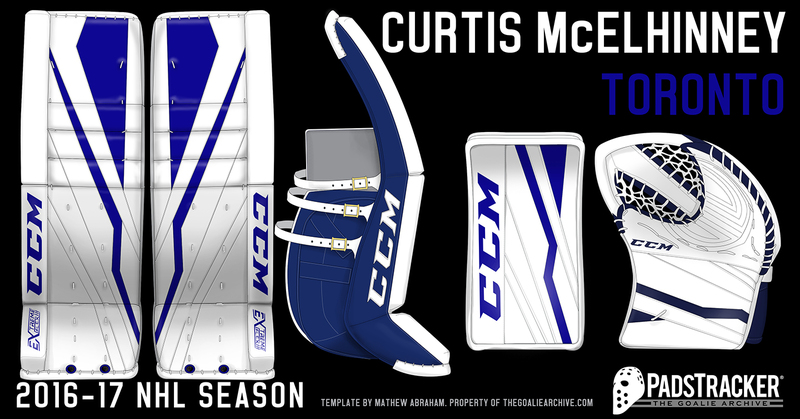 Needs a redesign.